In true singer/songwriter fashion, Pete Yorn made his public debut at the famed club Largo, launching pad for many a budding musical novice in Los Angeles. Given that apprenticeship, it was little wonder that Columbia Records thought well enough of him to offer him a recording contract, and that soon after, his music found its way into various film soundtracks, all of which served to raise his profile even further. Nor was it any surprise that the six albums Yorn’s recorded to date have won all kinds of kudos, given the accessible, rock steady sound he’s purveyed all along. 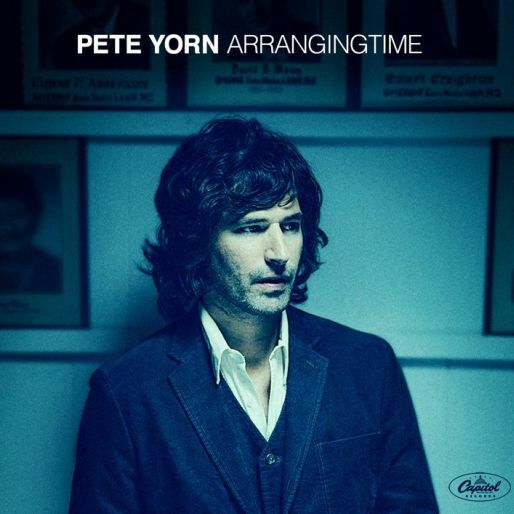 All of which brings us to ArrangingTime, Yorn’s seventh full-length outing to date and one that once again affirms his skill and sensibilities. The songs shine, but its his reliance on rhythms and a cluttered sound that not only adds the ambiance, but makes each track resonate with a luminous glow. While previous albums have found him overarching into conceptual themes, this, his first effort after signing with Capitol Records, finds him slightly varying the template, still retaining the glossy arrangements that impact on both his songs and their set-ups. “This new record represents a step forward in sonics and creativity while celebrating and honoring some of the groundwork I laid back in the early part of the century,” Yorn said in a statement, and indeed songs such as “Summer Was a Day,” “She Was Weird” and “In Your Head” practically burst through the seams by virtue of their radiant glow. The percolating “I’m Not the One” tempers Yorn’s phased vocals with an insistent pace, and even though the songs that follow, “Shopping Mall” and “Roses,” slow the proceedings, the illumination is barely dimmed when it comes to the arrangements and instrumentation. Eventually, the rollicking “Screaming at the Setting” and beat-steady “Tomorrow” pick up the pace as the album draws to its conclusion. Nevertheless, given the shimmering stance Yorn maintains throughout, it’s primarily the tone and temperament that varies from track to track. It’s a superb sound, and that’s one of many reasons why ArrangingTime feels like time well spent.